I’ve been honored to serve the last three years and humbly ask for your vote this election. I’ll be making the rounds at every city worksite as I have the last three years and look forward to furthering communication with every member. Thirty thousand members with wide ranging jobs between 33 unions, non-union, Exempts and CPS workers we have a diverse workforce that takes care of Chicago. In an effort to increase participation we have made this an electronic or mail ballot, no more having to trudge downtown to vote. Information on how the election will work will be mailed out soon to your house with electronic voting running from Oct. 22 to Oct. 26 and mail ballots needing to be post marked by Oct. 26. From complex issues of pension funding or retiree healthcare to simple matters of increasing member communication or making it easier for our members to vote in pension elections, I’ve worked for our members the last three years and look forward to working for them the next three year years. From making prudent investment decisions ensuring your retirement will be there to suggesting the Fund start a Facebook account, to easier interact with the members, the job of Trustee is wide-ranging. One of my goals to accomplish the next three years is getting a retiree on the pension board. 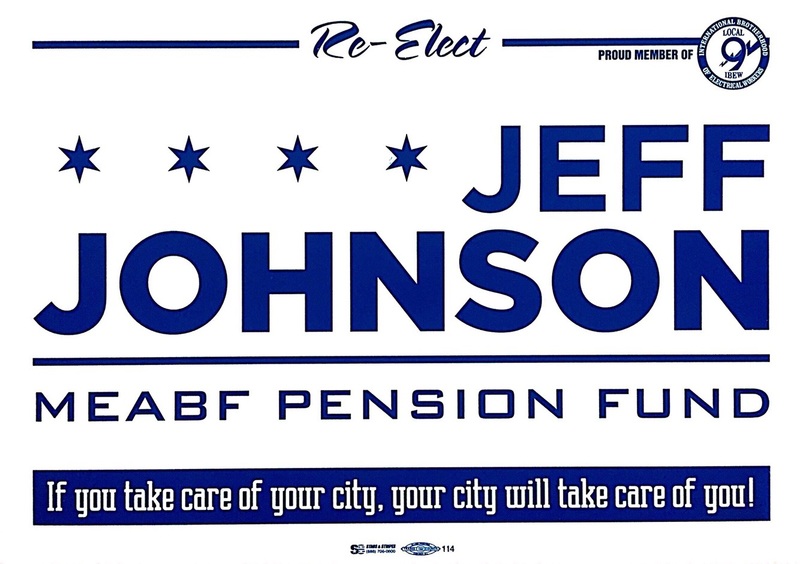 It’s a retiree members’ Pension Fund as much, if not more than an active member and we are the only City of Chicago Pension Fund to not have an elected retiree. Another goal is better educating the active members now about how their pensions work. Too often you don’t even know what a pension is the first twenty years on the job let alone retirement planning or thinking ahead. Retiree Healthcare has been a 30-year fight that still goes on, the CFL is in final talks to sponsor a retiree healthcare plan. If the legal hoops are met and the “t’s” are crossed and “i’s” dotted this can be major for the members who need relief from rising healthcare costs. I’m hoping this comes to fruition, as it would save millions over the life of the plan for retirees. As your Trustee I would push to get the information to you in a timely manner so you can make the best decision. I am firm believer if you take care of your city, your city will take care of you and if elected I will work for you everyday, just like I have the last three years. I humbly ask for your vote as MEABF Trustee.